You are here: Home / Education Programs / What Is Physical Education In Today’s Schools? What Is Physical Education In Today’s Schools? Physical Education. PE. Often heralded as the most popular class for any student to take, as it promotes sports and physical well-being as opposed to sitting at a desk all day. No matter what time of day a child has PE, they can expect a nice energy and morale boost, even if they didn’t enjoy themselves. If you’re a parent who went to school a long time ago, you may be surprised to learn that it’s almost nothing like you think you remember. And if you’re a student about to go to an American school for the first time, then you may be just as confused as your parents. Below we take a look at what constitutes physical education in today’s digital age. PE is important for a multitude of reasons. For one, it gives children a chance to run around and use up some of their energy while also promoting good health. This is especially true after elementary school, when recess is no longer common. After the game, students are sent back to the locker rooms to shower and get dressed in their everyday clothes. That’s usually the end of the class for the day. This is how it is for most middle and high school students. 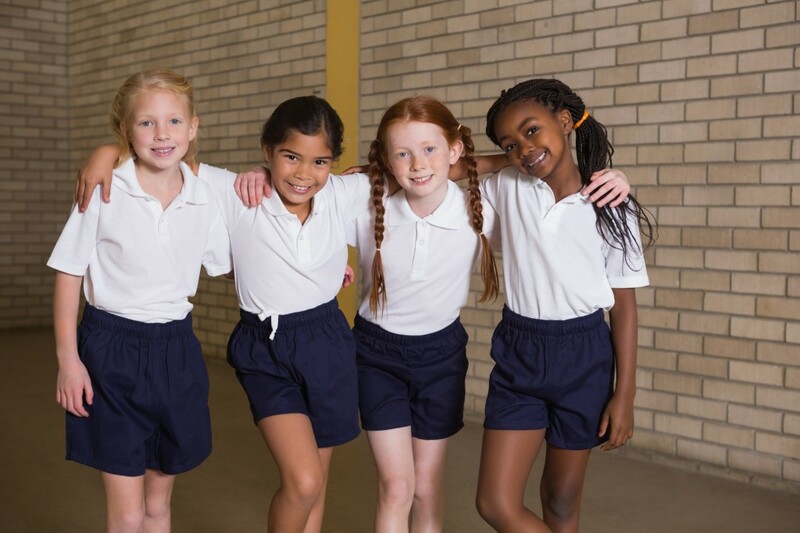 In elementary school, there usually isn’t as much of a focus on physical activity outside of generic running around and very basic sports maneuvers. Locker rooms and showers almost never happen. Instead, elementary school PE focuses more on developing hand-eye coordination, basic health knowledge, and learning about team work. While many will argue that PE is mostly about forcing kids to move around, it’s also an important way to teach them about team work and how to win and lose gracefully. Just as many kids don’t play sports as those who do. It’s a fallacy to believe that kids can only learn these lessons through sports, but it is a huge source of knowledge. Team work is one of the biggest life skills any child can learn, and the sooner they learn about it, the better. This also goes for losing and winning gracefully. Ask most adults “What is physical education?” and they’ll tell you it’s about sports and playing games. A long time ago, this was sort of true. Kids would learn basic physical skills and play lots of games. Today, it’s still somewhat true, but a lot has changed as well. Namely there is now a bigger focus on learning WHY physical activity is important, and understanding that different people have different levels of athletic achievement. Some kids will become sports stars while others will be content to take walks or use an exercise machines while reading a book. It’s all relative. Kids are also tested today on sports rules at the end of units. They will also be required to show overall physical improvements at the end of the year when compared to the beginning. Many smaller schools, from elementary to high school, will take a break in the winter months to talk about overall health instead of just fitness. This may be called the “health class” portion. (Many larger schools will have a separate year-round health class with a dedicated teacher.) In health class, students learn about protecting themselves from diseases, sexual education, reproduction, nutrition, and other things that directly impact their overall health. Many funding slashers are encouraging schools to drop PE programs. This is terrible, because PE offers so much more than just running around. For one, PE is often the only time of day students can safely participate in athletic events. This teaches them good exercise habits alongside building team work skills and controlling their egos. The health portion of PE is also very important. As more schools cut back funding on proper health education, many kids are left in the dark on how to take care of themselves. This leads to rises in obesity, teen pregnancy, STDs, and being sick in general. Know what is physical education is power. It teaches kids some of the most basic tools they need to lead happy and healthy lives, both now and far into the future. VIDEO: Do PE classes affect adult exercise? Episode 18 – QR Codes & Augmented Reality in PE?